On 14th April 2018, Professor Vera Campo sadly passed away at the age of 90. I first met Vera at the ISR Summer Seminars in Lucerne, Switzerland in 2007. At this time I had begun the process of obtaining information for writing the article on ‘The History of the Rorschach in the United Kingdom’, which was published in Rorschachiana in 2008. Both during this time in Lucerne, and following the Summer Seminars, Vera provided me with some fascinating information and anecdotes about the use of the Rorschach in the UK, along with sending me invaluable archival material, such as letters, notices and photographs. What I found so interesting was that Vera appeared to know more about the Rorschach and its decline in use in the UK, dating from the 1970s than many other people I spoke to in the UK! 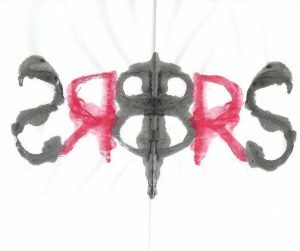 Looking back and considering the history of the Rorschach in the UK, both myself and my colleagues in the British Rorschach Society (BRS) feel that we owe a great debt of gratitude to Vera for the significant contribution she made to development of the Rorschach in the UK. As described in the article [McCarthy Woods, J. (2008). Rorschachiana, 29, 64-80], between 1969 and 1997, Vera was actively involved with the British Rorschach Forum and later the British Society for Projective Psychology, contributing to many of the activities of this organization, presenting papers at meetings and submitting articles to its journals and she acted the delegate for the British Society at the IRS Congress in Washington in 1980. In addition, during the IRS Congress in London in 1968, Vera was elected as a member of the British Rorschach Forum and then as a Fellow in 1988. For this reason, we felt very privileged and proud that Vera agreed to accept our invitation to join the BRS as an Honorary Member in 2013. As a relatively new Rorschach Society, we have been incredibly grateful for Vera’s support, interest and encouragement with all our endeavours. Most recently, she very generously provided us with her time in double scoring some protocols for our normative study. On a personal level, I have always found Vera to be so kind and generous in sharing her vast knowledge and experience with the Rorschach, along with her ability to integrate psychoanalytic ideas and concepts in such a helpful way when thinking about patients. I have always enjoyed meeting up with Vera, appreciating her warmth and kindness and wonderful sense of humour, so will miss her greatly at future international Rorschach events!